Allison and Stephen Ellsworth entered the Shark Tank seeking $400,000 in exchange for 10% equity in their company, Mother Beverage. To begin their pitch, they ask the Sharks to take a shot with them. 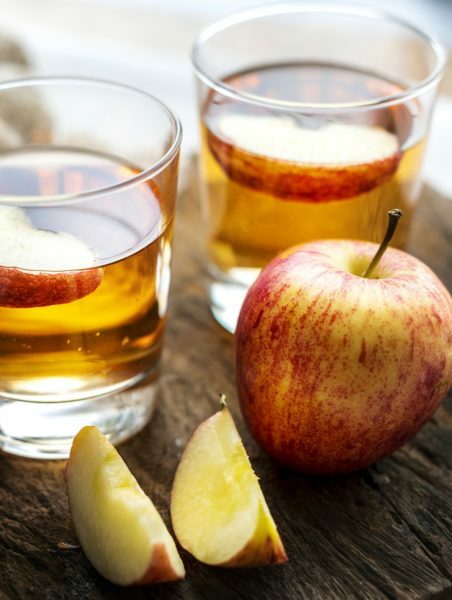 Their shots turn out to be pure apple cider vinegar. They share with the Sharks that while there are plenty of health benefits from drinking apple cider vinegar, the strong taste and high acidity can be hard on the esophagus and digestive tract. They then hand out samples of their apple cider vinegar based drink, Mother Beverage. The Sharks like the taste and are interested in hearing more about their business as this is a growing diet trend and their beverage is a much better tasting product than drinking straight vinegar. Mother Beverage contains 1 tablespoon of unpasteurized apple cider vinegar to keep the health benefits intact. Over the last 18 months, they have sold $500,000 of their product and are projecting to close out the year at $1 million. The product retails for $2.99 per bottle and costs about $0.75 to make. They do currently sell their product in some Whole Foods locations. The Sharks are concerned that there is nothing proprietary about their product and anyone could knock them off. They are also concerned that they have decided to manufacture the product themselves rather than co-packing. Allison and Stephen share that they want to keep the unpasteurized product in their finished good so they have decided to fund a fully automated bottling line. Most of the Sharks disagree with their valuation and business decisions and therefore decide to decline offers with Mother Beverage. They cite that scaling the product will be very hard and the money they would receive from the Shark Tank would just scratch the surface of what they will need. They also feel that this product does not have a clear competitive edge. Rohan Oza does decide to make them an offer of $400,000 for a 25% share of their company citing that the mathematics and risks do not support their initial ask and valuation. They accept Rohan’s offer. So I’m sitting here watching @ABCSharkTank . This #MotherBeverage has an expert in the cocktail and beverage business right in front of them, and they didn’t market to her. The #Skinnygirl knows this industry and @Bethenny , your advice was spot-on. Congrats @RohanAOza ! I gotta try that ACV drink #SharkTank #SharkTankABC I believe in the benefits. What do you think of Mother Beverage and their business decision to forgo copacking? Would you invest in this company? Let us know what you think of this product and their deal in the comments below!